Point2 Homes gives you far more than a simple list of houses for sale. Get instant access to a lot of relevant information about Royalwood, Winnipeg, MB real estate, including property descriptions, virtual tours, maps and photos. The search results pages also have a wealth of information on Royalwood, Winnipeg, MB, if you scroll all the way down. 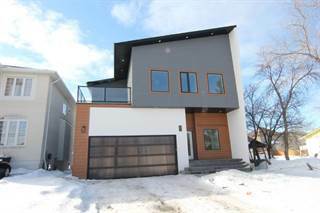 There are 23 houses for sale in Royalwood, Winnipeg, MB. 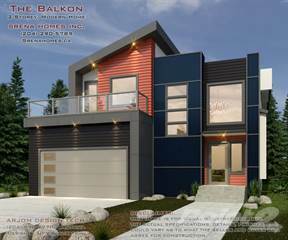 Searching homes for sale in Royalwood, Winnipeg, MB has never been more convenient. With Point2 Homes, you can easily browse through Royalwood, Winnipeg, MB single family homes for sale, townhomes, condos and commercial properties, and quickly get a general perspective of the real estate prices. Also, you’ll never miss a bargain if you filter listings based on house price drops in the past six months. 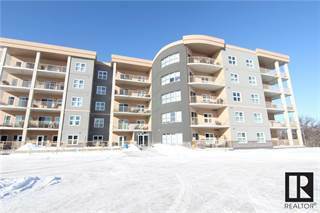 Use the map view to find Royalwood, Winnipeg, MB homes and apartments for sale, based on amenities or city features that you may want close by. You can close in on a specific neighbourhood or area by simply drawing around them with the polygon or radius tools. Stay informed about the latest entries on the real estate market by saving your searches. This way, you get new listings in your inbox, daily or every week, based on your preferences. If you’d like to get in touch with a professional, agents are displayed next to their listings, and they’re easy to contact through the online forms. 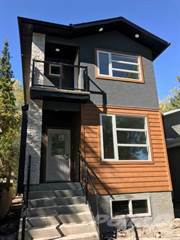 If you want more options, you can click the Tools tab and Find an Agent, and you’ll get a list of helpful and knowledgeable real estate agents in Royalwood, Winnipeg, MB. Visit the Point2 Homes blog and you can find up to date expert advice on many markets throughout Canada, regular market reports, neighbourhood scoops in cities throughout the provinces, real estate deals and useful recommendations. Royalwood is one of Winnipeg, Manitoba’s newer communities and provides a balance of modern homes with nature and outdoor recreation. The neighbourhood provides access to major amenities just outside its boundaries, and is considered a safe and pleasant place to raise a family. Royalwood was originally part of the City of St. Boniface (predominantly French-speaking) before it became part of the City of Winnipeg. Evidence of the French-speaking ties in the community can be seen in the names of various spaces/locations in the neighbourhood. Royalwood is located in southeast Winnipeg, and spans from the Seine River in the west to the Island Lakes community in the east, and from Bishop Grandin Boulevard in the north to the Perimeter Highway to the south. The residential area is relatively new, but there has been a careful preservation of the forest, grasslands, and marshes surrounding the community which gives it the feeling of being an older, established neighbourhood. With many parks and outdoor spaces to explore, the community is family friendly and inviting. Large, modern homes contrast with the natural surroundings, and parts of the area can be a quieter refuge in an urban setting. West of Royalwood is St. Vital Centre, a large shopping mall with a number of different retailers offering clothing, accessories, home goods, and gifts. The mall is also home to a large bookstore and the SilverCity St. Vital Cinemas, with multiple screens (including 3D), a party room, and an entertainment centre. Other retailers can be found north of the neighbourhood along Bishop Grandin Boulevard, including a sports store, a crafts/hobbies store, and a hardware store. North of the neighbourhood, the Niakwa Country Club offers an 18-hole golf course, golfing lessons, and a pro shop, and provides facilities to hold weddings and other events. The Royal Canadian Mint, located northeast of Royalwood, produces Canadian coins, as well as coins for other countries around the world. The Mint offers tours of their facility (for a small fee), which show the process of taking strips of metal and creating various types of coins. You won’t find any restaurants in Royalwood, but there are a number of dining options nearby along St. Anne’s Road such as Siam Authentic Thai Cuisine, which offers colourful and flavourful dishes in a pleasingly simple atmosphere; Sizzling Dhaba, serving traditional Indian food in a clean, sunny space; Carbone Coal Fired Pizza, with beautifully rustic pizzas served in a modern venue; and La Fiesta Cafecito, a Latin American restaurant that specializes in Salvadorian cuisine. Northeast of Royalwood is Vamos Tacos, which offers tasty Mexican food for pickup or delivery. Royalwood offers newly built, higher-end single-family homes along with some semi-detached and multi-family options. According to City of Winnipeg census information, the average price for single-detached homes in the area is significantly higher than the average price for single-detached homes in Winnipeg. The population of Royalwood has grown significantly over the past 10 years and is now at 4,670. Families make up 27% of the population here, 50% are couples, and 23% are single. The majority of housing is single-detached homes, most of which were built within the past 10 to 15 years. There are some semi-detached homes, row houses, and apartments in the neighbourhood as well. The average annual income is $139,416, which is well above the average annual income in the city as a whole, and 67% of residents are university or college educated. There are no pollution problems in Royalwood, but homes closer to the major roadways surrounding the neighbourhood (Bishop Grandin Boulevard and the Perimeter Highway) have traffic noise throughout most of the day. Homes in the park/greenspace areas of the neighbourhood enjoy a quieter atmosphere. The crime rate in Royalwood makes up less than 1% of the city’s overall crime rate. The most common types of crime in the area are residential break and enter, motor vehicle theft, and break and enter (other). There are no schools actually in the Royalwood neighbourhood, but there are options in the surrounding areas. Elementary schools include Lavallee School, St. Emile School (Catholic), École Guyot, Victor H. L. Wyatt School, Island Lakes Community School, École Julie-Riel, and H. S. Paul School. J. H. Bruns Collegiate is the high school closest to the neighbourhood. The University of Manitoba (U of M) is west of Royalwood and offers undergraduate and graduate programs in everything from law to music to accounting. The U of M is Manitoba’s largest public university. Also west of the neighbourhood is the Manitoba Institute of Trades and Technology, a public college that offers programs in trades such as hairstyling, welding, carpentry, electrical, and mechanics. Bus service is limited in Royalwood, with just one route (Route 96 – St. Vital Centre-Southdale) running through the neighbourhood. This one route connects to a number of major bus routes on nearby St. Anne’s Road (Route 55 – St. Anne’s, Route 58 – Dakota Express, and Route 59 – South St. Anne’s Express) and Bishop Grandin Boulevard (Route 75 – Crosstown East and Route 16 – Osborne-Selkirk). Some of these routes provide access to Downtown from where other routes service all areas of the city. The Dakota Community Centre, located west of Royalwood, offers classes and sports teams for people of all ages. The Jonathan Toews Sportsplex, which is part of the community centre, features two indoor ice rinks, a gymnasium, a canteen, and multi-purpose rooms. The Southdale Community Centre, north of Royalwood, also offers classes and teams for all ages, as well as public ice skating, activities/programs for kids and seniors, and events like craft sales and dances. Royalwood has a number of parks, including Orchard Hill Park, a greenspace that follows the course of the Seine River and is bordered by forest, and John Bruce Park, which includes biking/walking trails, a footbridge, and Woody (a three-metre-tall wood carving). The popular Bois-des-Esprit trail system runs through Royalwood. The trails wind through 117 acres of urban forest, which is home to deer, squirrels, and many types of birds.